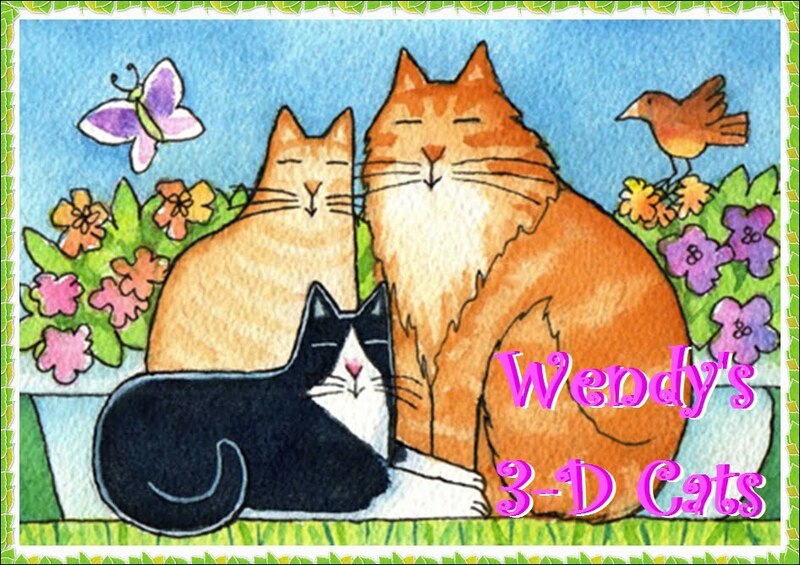 Wendy's 3-D Cats: 3-D MILLINERY MONDAY -- OUT THERE! Today the 3-Ds have taken a fashion risk by donning very bold colours. They like nothing better than to be on the cutting edge (especially when Mama's slicing cheese)! Dante's in a lime green trilby with multi-coloured band. 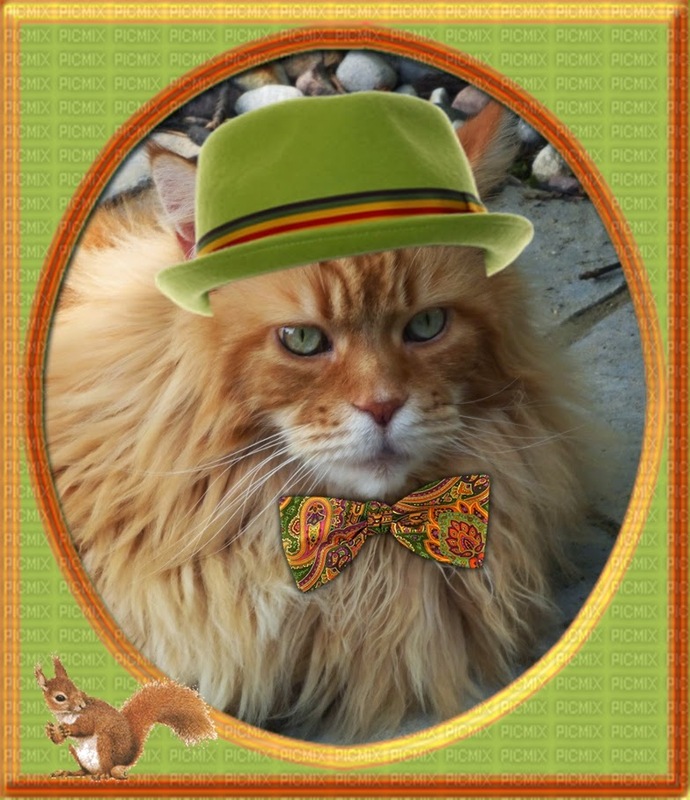 He has coordinated this with a green and orange paisley bowtie. 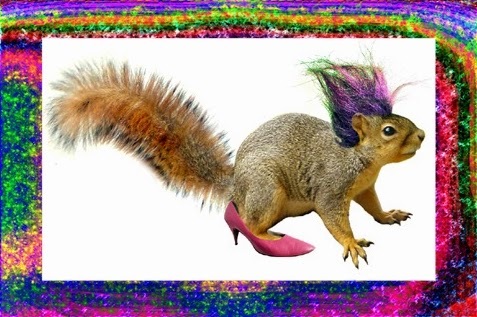 His little squirrel friend, Trevor, is literally taken aback by his style. And not to be outdone, Trevor is quick to make a few radical fashion choices of his own. Dylan's secure enough in his masculinity that he can wear pink. And here he does it with abandon! 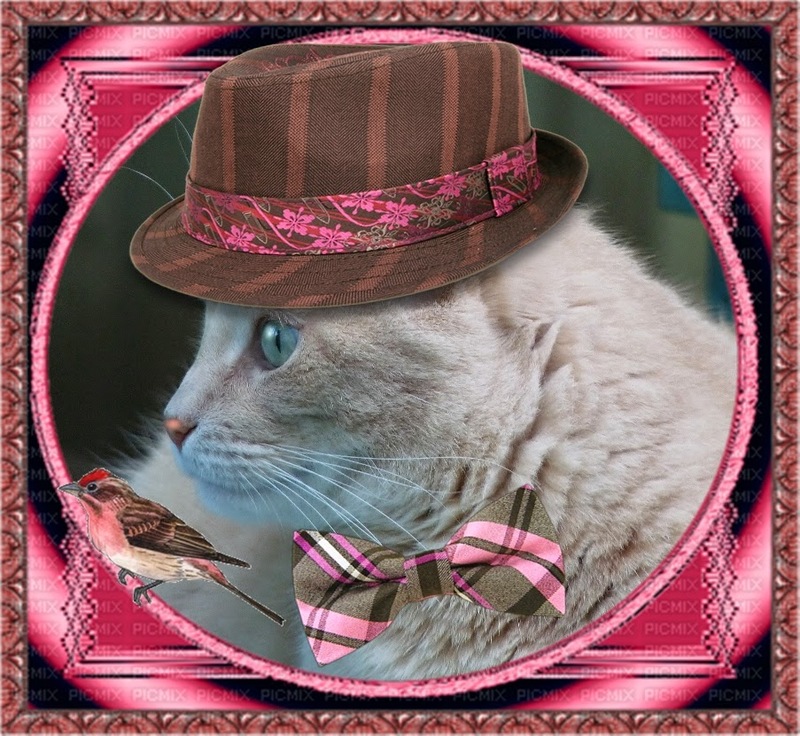 His smart brown-striped fedora is banded in a hot pink floral with touches of green. He has paired this with a classic yet daring brown-and-pink plaid bowtie. "Birds of a feddah gots ta stick togeddah", says he, "speshully wen we're in da pink!" No wonder Dylan doesn't mind wearing pink -- he thinks he's a bird!!! 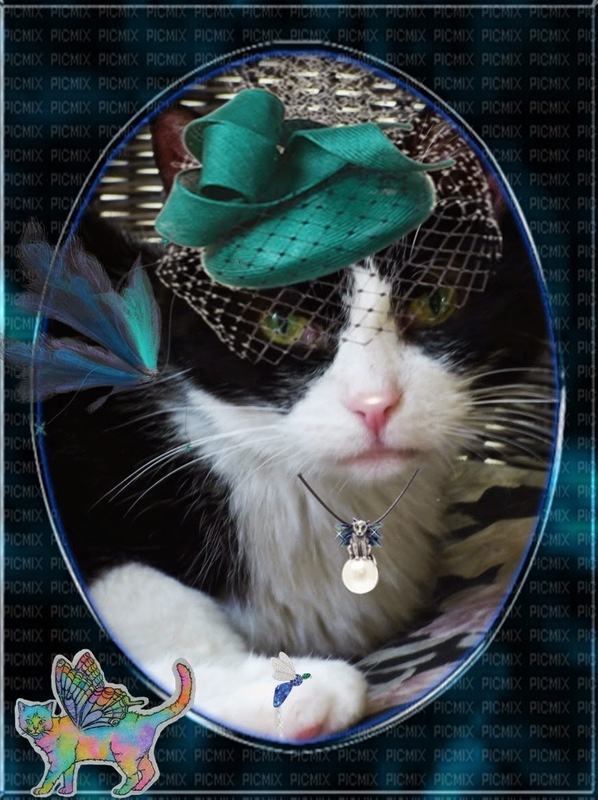 Domino is fairy, fairy mysterious in her teal-veiled fascinator. 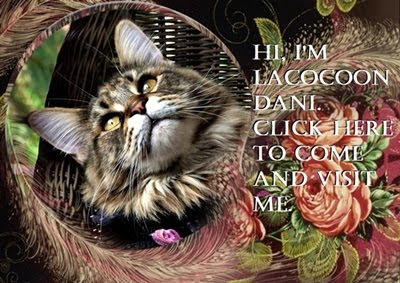 She has chosen a mystical pendant with a cat fairy atop a pearl globe as a fashion accessory, along with a winged insect ring to adorn her dainty paw. "When it comes ta fashun", says Domino. 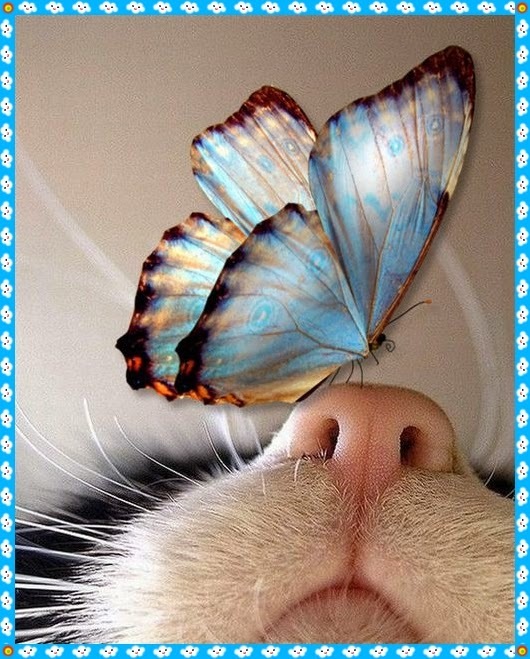 "I jus' wings it!"